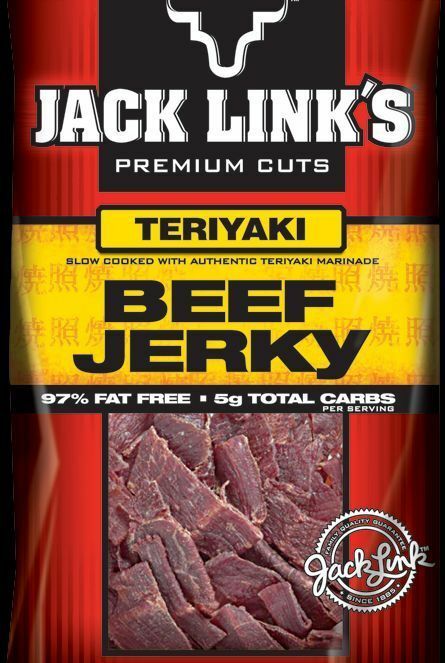 I confess I had beef jerky for breakfast last week…..twice. I confess instead of pulling the ironing board out, I just ironed the shirt…..on my body. I confess during a recent client dinner I asked the waitress if the “boneless trout” on the menu had bones. I really like to show off my intellect when I’m with clients. I Confess I have an AMAZING giveaway for you all tomorrow! aww thanks for linking up. I should just gift this link-up to someone since I STINK at keeping it going. The gym is a place to assert some independence I think so rock on! haha I totally just made that up..
Oh can't wait for the giveaway! hahah you crack me up. the whole boneless fish thing - something i would TOTALLY do. yes to beef jerky. save the insane sodium count, you get a buttload of protein for very few calories. Oh, I would ask the bones thing. Beef jerky? you sound like my hubby. he loves that stuff. When I first got my license and was practicing driving with my Dad, I asked him "which one is the gas and which one is the brake? I haven't let it down since! when I had my rental car, I had to call enterprise to ask how to get that gas thing open. haha! you're not the only one in that boat! ps lovvve your new car. I would die in boot camp. I had dessert almost everyday after breakfast. who says dessert is only for dinner? I confess that I'm a complete and utter fatarse because I ate Chick-Fil-A, Brisket, KFC, AND Golden Chick this weekend. I can feel my rolls growing by the minute. I also confess that I wish you were coming to Texas and YES! I got your e-mail just haven't been a good girl and wrote you back! :( You and Rissy will need to visit next, OF COURSE! February needs to get here FAST so flights are cheaper from Austin to Atlanta and vise versa. didn't know you could even iron a shirt while it's on you? that shouldn't be a confession 'cause that's pretty miraculous that you didn't burn - haha! i NEVER buy clothes that i know i will have to iron...eh lazy much?! xoxo jillian:: enter to win a knit cowl! I confess I watching approximately 20 episodes of the Vampire Diaries over the past 4 days. And I’m not ashamed. I confess, I laughed out loud about ironing your shirt on you. you are clever. Although usually I just take my straightener and iron things. on me. As well. we bloggers, we live life on the EDGE!!!!! i confess i ate pinkberry for din on saturday night. oh and last saturday as well. I confess my boyfriend lands in ATL at noon today and I will see him tonight and im sort of REALLY excited! I've gotten gas a few times and had to sit and think about where the gas tank was! HAHA blonde moment! LOVE these I confess posts! I should do that some day! Do not feel bad about the gas tank. I have had my car for 2.5 years and put gas in it at least once if not twice a week. This weekend I couldn't remember where it was! I pulled up on the wrong side. Blonde moment? I definitely had a similar experience the first time I pumped gas... sometimes I wish I lived in Jersey so someone would do it for me! I seriously get a weird anxiety every time I go since that day. Haha! 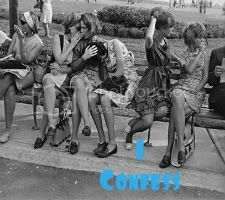 Love your confessions, girlie! i love that you asked about the boneless trout! hahaha dying. i have to agree...sometimes there are those little baby bones in fish that slice ya gums! yowza! Oh my OUCHIE! You IRONED ON YOURSELF while wearing the skirt? That couldn't of turned out well! but seriously, how do you even go about ironing a shirt while you're wearing it?! beef jerkey for breakfast... ewwww... hahaha But then again, I wouldn've eat beef jerkey at any time! At least you make it to the gym! I have zero motivation...still! And I did the same thing with my new car. Why would they make the pully thing down almost under my seat....REALLY?! I ate beef jerky last night! Twins!! It kinda sounds like I need it for dinner again tonight. Hahaha. haha, I'm totally guilty of the same unawareness. lol. that was the nicest word I could think of. however you were much smarter than me, I just called and asked my dad. lol. adoring your blog today. xoxo.